• 2012 – Study of painting with Cristian Jequel – France. 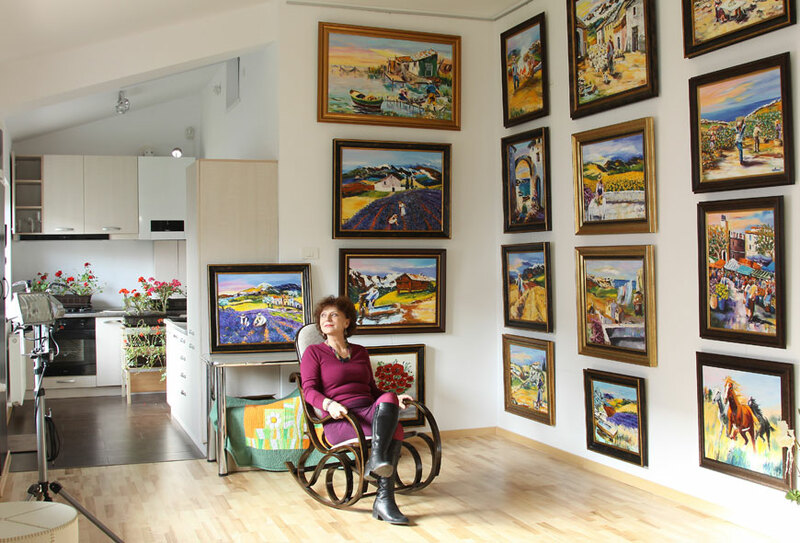 Being an autodidact painter, she discovers in the period 2005-2007 the passion for transposing on canvas of topics from the surround world: landscapes, flowers and scenes of life. 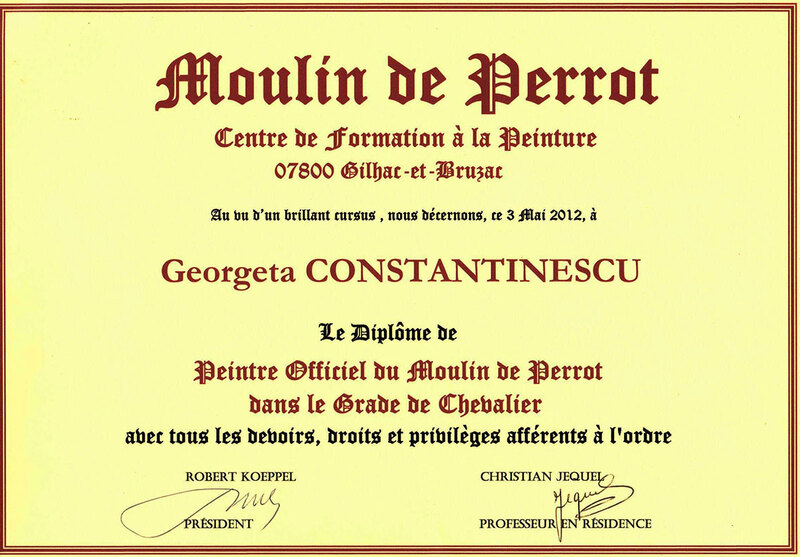 Starting with 2008 she attends every year traineeship at the Painting Academy Moulin de Perrot in Provence, France. 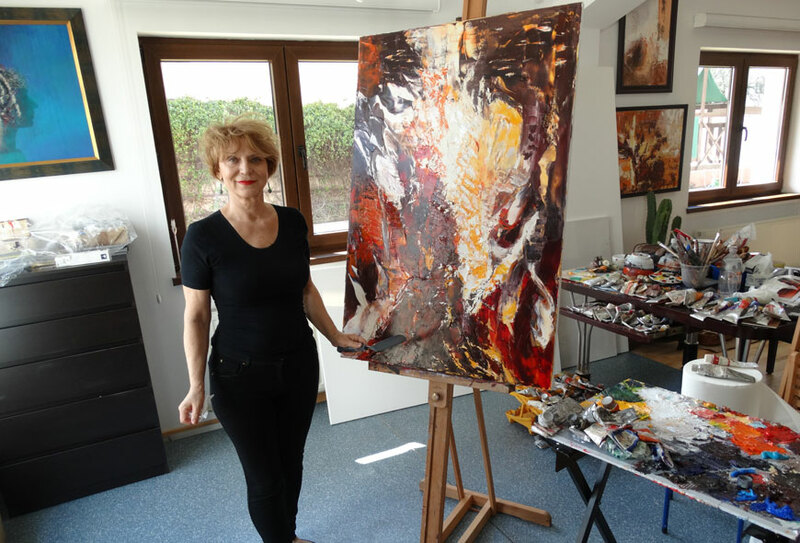 In 2009 she was conquered by the painting technique by knife, having Cristian Jequel as her mentor. She is excited and fascinated by the possibilities of expression by this technique. Those are years when she made the decision that had fundamentally changed her life. She gives up her activity as software engineer, and for next five years, day after day, she draws and paints, using this new technique (the Jequel technique), oil on canvas by knife. 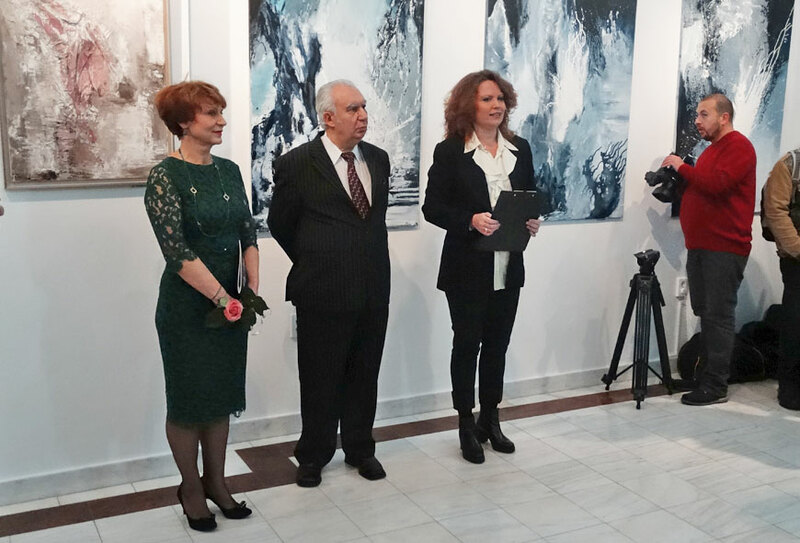 As a result of her work, in 2012, she receives diploma of “Officiel painter of Academie Moulin de Perrot”. 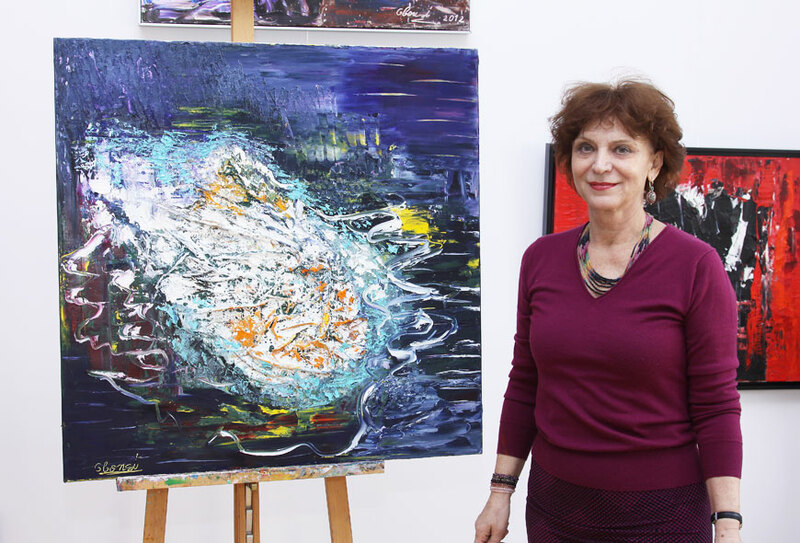 The meeting with Giancarlo Bargoni in 2012 changes her perception of the abstract painting, discovers the endless possibilities of expression and becomes fully committed to this kind of painting. that crosses from place to place the canvas. It is tough, hand-to-hand fight with canvas, using the knife, the paintbrush, the hands, as a unique construction in a chiaroscuro where the light is the main subject. In front of canvas of the artist, the viewer may be baffled, disturbed or excited by the explosion of colors, signs and meanings, without being able to find the right words to be clearly in harmony with the picture. The artist herself is caught in a suitable relationship between her affection and her environment. The strength and brilliance of colors, reflects the depth of their inner reality of the artist. The picture becomes a representation of her emotional physical and mental state.